The Stag Beetle is one of the most widely known bugs in Europe, although recently their numbers have diminished. 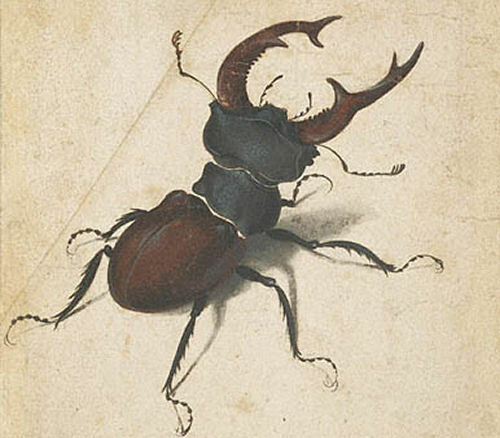 This small creature became famous, after the artist Albrecht Durer painted a picture of it in real-life size, and this painting was sold for 175 000 Deutsche Marks, which was a very large sum at that time. The Stag Beetle is the largest bug in Europe, reaching a size of almost 8 centimetres. It’s interesting that males and females were initially thought to be two different species, as the females are almost 2 times smaller. 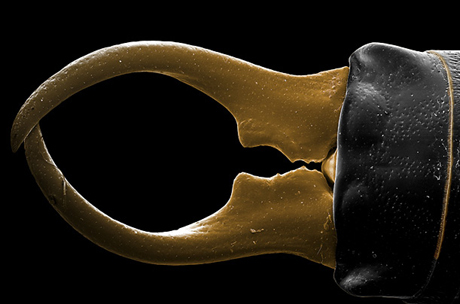 Probably the most distinguishable feature of this beetle is that males’ jaws that have become so large that they can’t be used for eating. During the mating period, the males use these jaws in fights, much like stags do, hence the name – Stag Beetle. Even though notably smaller in size, the female’s jaws can cause much more painful and unpleasant injuries to opponent. When in danger, the Stag Beetle rises on its hind legs and opens up the jaws. This sight can be quite impressive, but in reality, the jaws are controlled by quite weak muscles and can’t actually do much damage, especially to humans. Males also use these jaws in fights, when one tries to make the other fall on its back. Mature Stag Beetles spend all their lives in deciduous trees, especially oaks, feeding on tree juice and other substances found. One might think the impressive jaws are used as weapons to hunt other creatures, but in reality they are not used when obtaining food, at all. The larvae feed on rotten trees and roots. Unfortunately, clearing many European forests of dead trees caused Stag Beetles to severely decrease in numbers, and thus they’re protected by law in many countries. 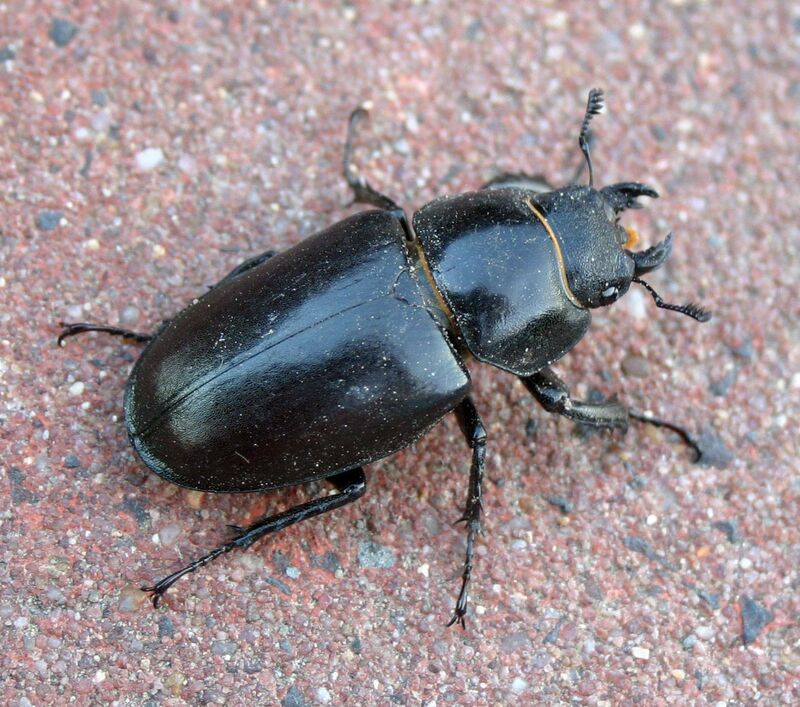 The mating period of Stag Beetles falls in June and July. After copulation, the female lays eggs in the bark of an old oak, and dies soon after, and the male doesn’t live much longer either. After some time, grayish white larvae with brown heads and crinkled bodies hatch. The larvae have strong jaws and three sets of legs, and they spend 3-5 years feeding. After having obtained enough foodstuff, the larvae creates a cocoon. A mature Stag Beetle emerges from the cocoon a few months later, usually in Spring. After having found a mating partner and successfully copulated, the beetle soon ends its life. As mentioned above, removing dead trees from forests has caused great damage on the Stag Beetle populations. That is why, in many countries, this species is facing extinction, and the once-widespread bug now is protected by laws in many countries. Other than the destruction of their natural habitat, the Stag Beetles don’t actually have any threats and we can probably expect their numbers to become stable again.